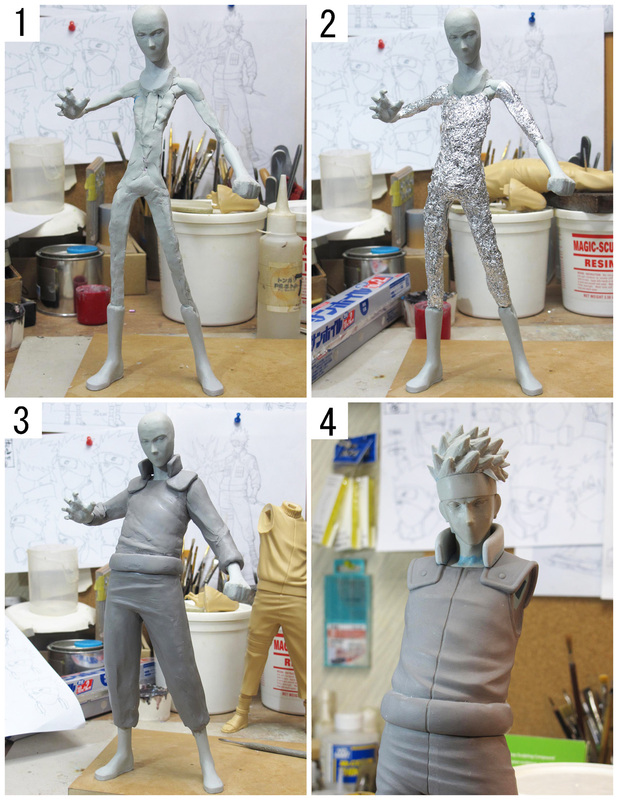 The sculptor, Shin Tanabe, shows how he works on the figure. 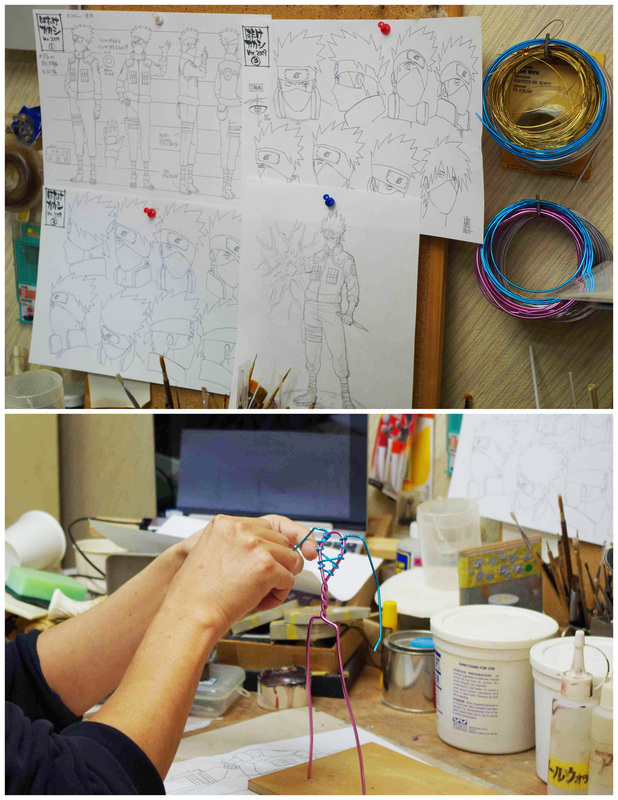 First, he looks at the model sheet carefully to imagine the goal of the sculpt. 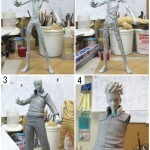 After fixing the idea, he starts to build the armature using aluminum wire. 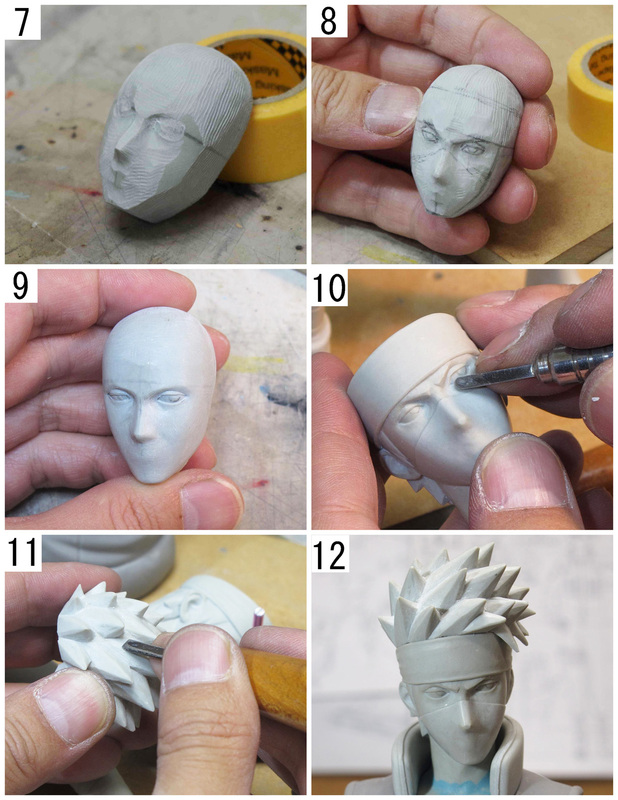 After the pose fixed, he starts working on the face. The material is epoxy clay called “Magic Sculpt,” which gets hard by mixing two ingredients (resin & hardener). 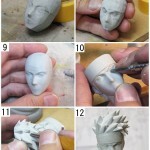 Then, put the clay on the model sheet of the face, and shape it quickly before hardening. 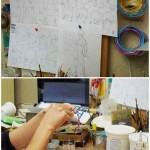 After the material hardened, the drawing of the face is copied on the back of the head, which will be the guide for sculpt. He carves it roughly using some motor tools, meantime, preventing scatter of the dust with vacuum. Keep working on the face details to finish. 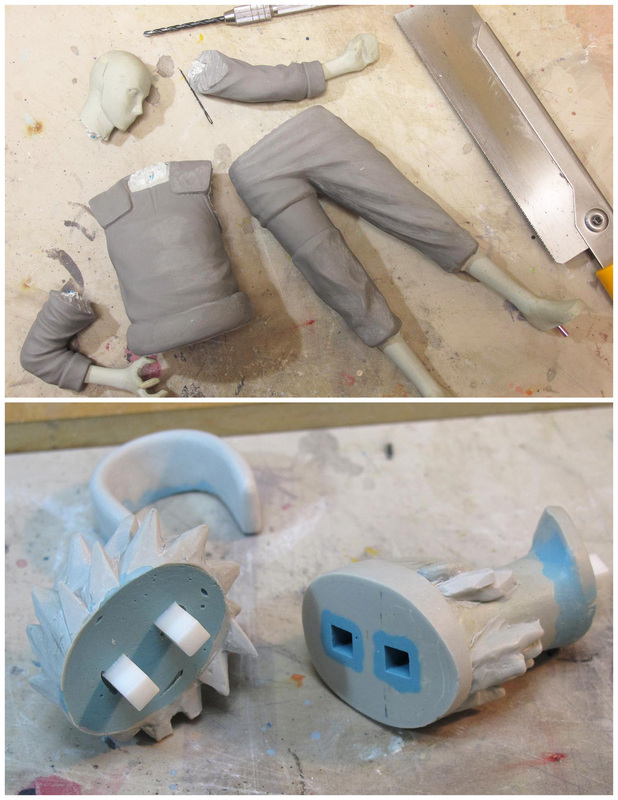 Add material on the armature. He uses aluminum foil to thicken it, then put clay called “Super Sculpey” on it. 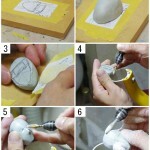 This material stays soft until it is baked, so it is easy to condition the rough shape. 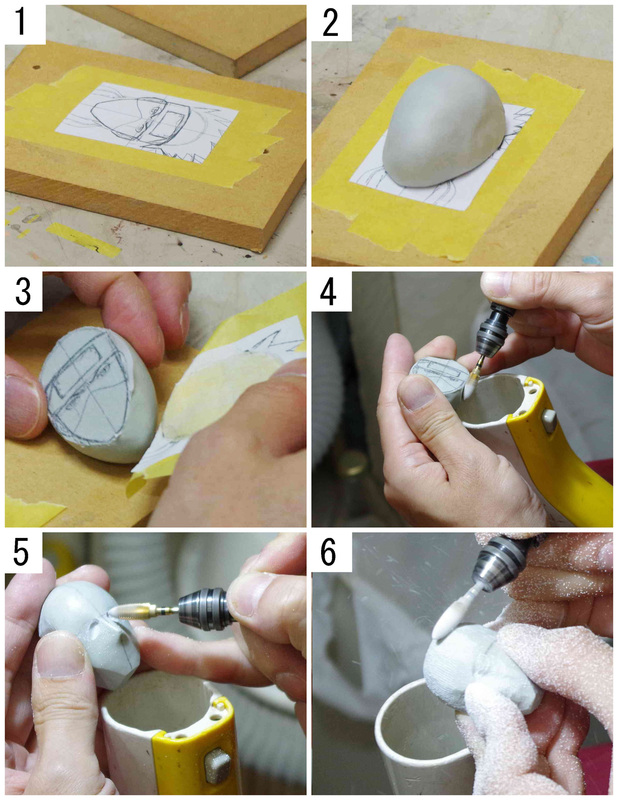 The aluminum foil will help to prevent Super Sculpey cracking after it is baked, because it shrinks a little bit when it gets cool down. 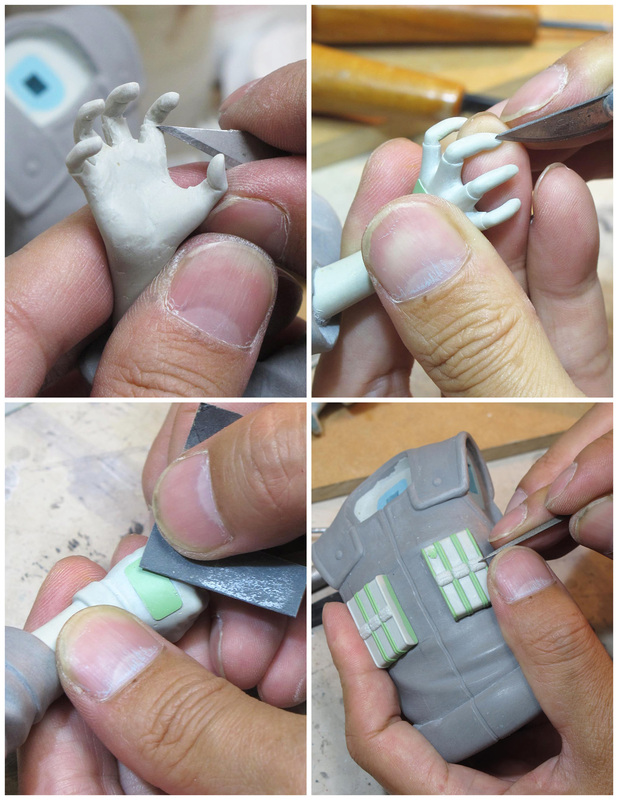 When the sculpting gets close to end, the figure needs to be divided into small parts in order to be duplicated. 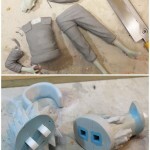 The duplication will be used for paint, mass-product development and so on. Working on some more details.